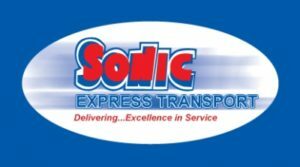 For more than 20 years Sonic Express has offered Sydney businesses and private citizens an affordable, efficient and cost effective / low cost courier service in the Sydney metropolitan area. Services include vip 1, 2 and 3 hour delivery in Sydney City and Suburbs as well as delivery to NSW regional towns same day. Anything from banking cheques, delivering flowers, parcels and palleted goods with our taxi truck service. P.O.D (proof of delivery) available for every booked job. Our vehicles range from small hatches to vans, table tops, 2, 4 and 6 tonne trucks right up to semi trailers. We have the exact vehicle to suit your load.